I’ve had this book for ages. I bought it mostly for the cover art by Ronald McRae. The story is light and funny about a clumbsy NY writer who finds himself Hollywood’s darling. 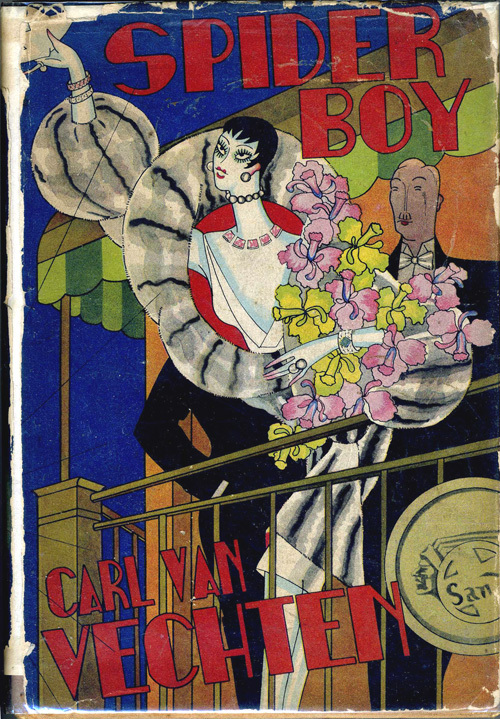 Inside in the list of other books by Carl Van Vechten, I found that he wrote The Tattooed Countess. I found a copy, but was disappointed that the cover didn’t look like this one. Maybe I’ll do a tribute image of how I image Ronald McRae would do.